Staying on trend with home design is a pride point with our team. But we love projects that remind us that some of the best design has been around for years (centuries even!). Our latest project on Seeley Ave in northwest Downers Grove is definitely one of those projects. 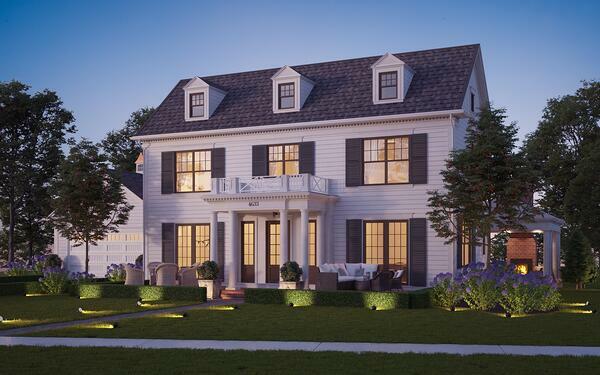 We're excited to share a sneak peek of some of the details of this stunning Colonial Georgian home set to be completed in 2019. 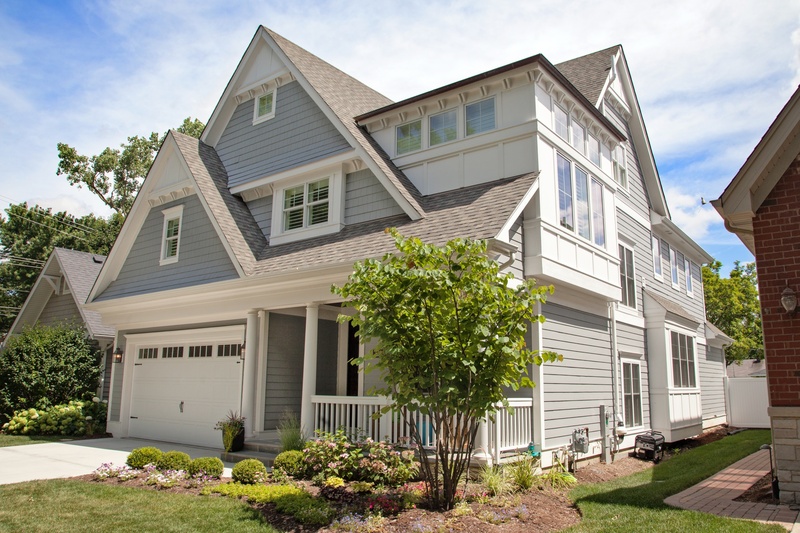 This 4BR, 3.5BA home set on this oversized lot offers Georgian-inspired balance and symmetry, but the materials of lap siding and wood trim all harken back to Colonial design. There are so many details that we love about how this home's design came together - probably too many to name here, but we'll highlight a few. A center brick walkway from sidewalk leads to a classic covered portico with dentil moulding. Front facade dormers open into bedrooms and center stair hall inside the home, flooding the spaces with light. Private front patios, located directly off of the dining room and study, feature full height wood paneled shutters and are surrounded by traditional boxwood hedgerow. A covered rear terrace includes a wood burning fireplace complete with custom brick herringbone pattern design. The extra wide foyer features a classic center staircase and opens to both the study and the dining room. The family room features a charming bay window and the kitchen opens up to a breakfast room with windows on three sides. Many special ceiling details make such a difference, from the tray ceiling in the dining room to the vaulted ceilings in the master bedroom. This client's traditional sensibilities will continue to lead them throughout the selection process and we can't wait to share the finished product with you. 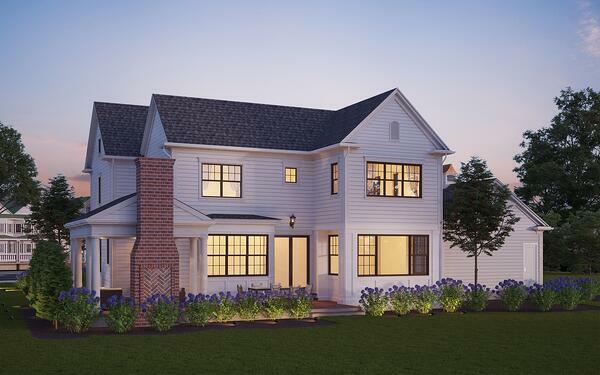 We just know this custom home will be the perfect addition to one of Downers Grove's most charming streets! NOW AVAILABLE: Check out this prime lot in Downers Grove's sought after Pierce Downer elementary neighborhood. This 50x130 lot is steps from Herrick Jr. High, Downers Grove North High School and a short stroll into town. We have plans ready to review - or you can customize your own dream home on the lot. Let's see what we can dream up together with our architect, designer and incredible build team.